Bakery On The Square is a family owned and operated artisan bread bakery and gourmet pastry bakery. 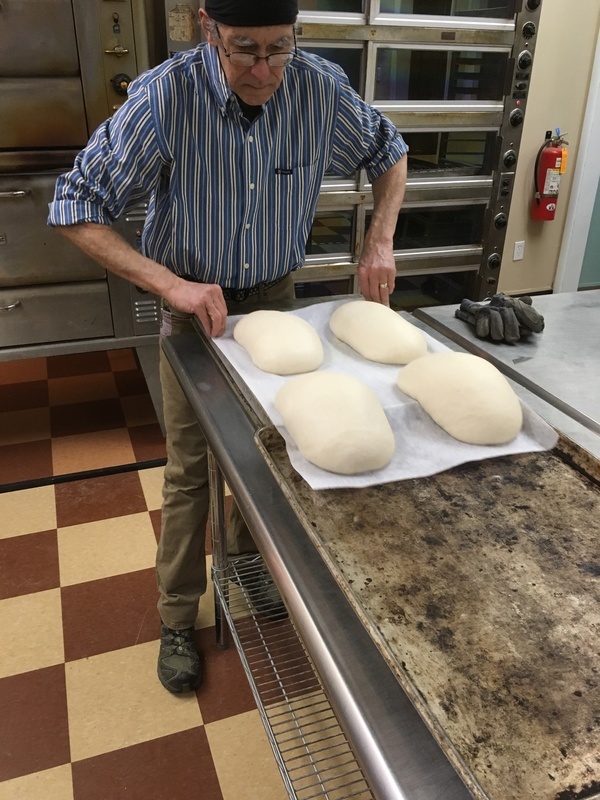 We have owned and operated another bakery, Creative Crust, for 14 years and are now relocating into our own storefront in Andover, Ohio. 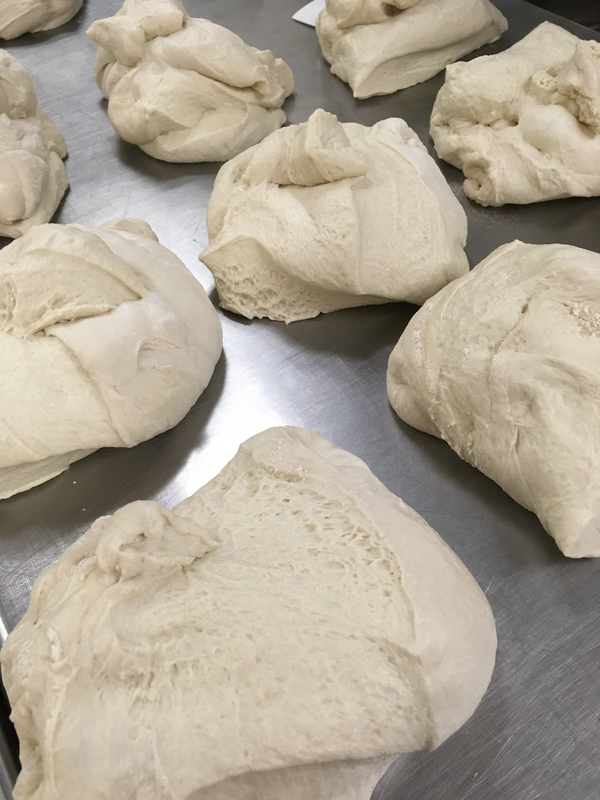 Our artisan bread uses several sourdough starters that we have nurtured for decades. We also have a starter that dates back to 1893. With specialty bread, pastries and coffee bar, we have developed quite a following. The storefront isn’t quite finished and it needs your help. We need to install a hood and exhaust system, upgrade the drains and install four new Exit signs. We have an architect, electrical engineer, and mechanical engineer working hard on designing these systems for us. We are looking to borrow between $10,000 - $21,800 at 11.50% over 48 months. Anyone who is 18 years old can invest. Paul and I relocated our family from Southern California to Northwestern Pennsylvania in 1991. We went from a very yuppy lifestyle to moving onto a 25-acre piece of property complete with a little red barn. Over the next 14 years, we homeschooled our daughters, taught ourselves to milk goats, shear sheep, make cheese, make our own wine and beer, and best of all we taught ourselves how to bake. 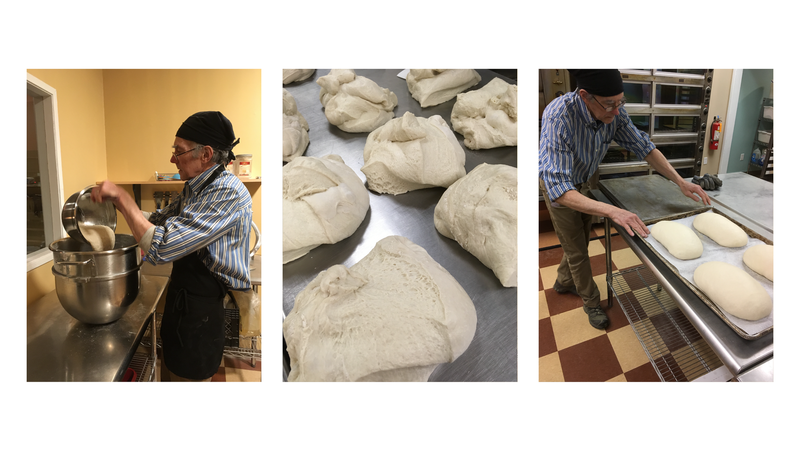 Paul delved into the art and science of sourdough bread. Using his starter to make multigrain, German rye, deli rye, spent grain, and of course sourdough bread. We also made traditional bread using yeast and, what my mother would call a sponge. And everyone pitched in to bake cookies, pies, cakes, muffins, brownies, and bars. We wanted to teach our daughters about entrepreneurship, so we started making products from our hobby farm. The goats were making a lot of milk so we started using it to make goat milk soaps and lotions. After a couple of years selling our soap all over northwestern Pennsylvania and western New York, we found ourselves at a farmers market in Erie that didn’t have any baked goods. We started taking some bread and sweet treats to sell. It was crazy how much people loved our bread! Pretty soon we were approached by Erie’s Whole Foods Co-op to sell our bread there. Then we were asked to sell our bread at the Market House in Meadville. In June of 2005, we got our food license and in September of that year, we opened our bakery inside the Meadville Market House. By the end of 2006, we had outgrown our little corner of the Market House and opened our bakery in a building located right next door. Over the years we took on lots of wholesale customers. We have supplied pastries and bread to the Kahkwa Club in Erie, Jekyll and Hyde Gastropub, VooDoo Brewery, Sprague’s Brewery, Town Tavern, Allegheny College, The Whole Darn Thing Sub Shop, and several more eateries. We cater showers, graduations, art openings, and a whole plethora of other events. We hold tours/luncheons for clubs like the Garden Club and the Spinners and Weavers Guild. Inside our bakery, we have music events, game nights, craft nights and tea parties for kids. Over the years we have been a part of the lives of our local community. Children being born and growing up with our bakery being a part of their childhood memories. Grieving with families that have lost their loved ones. Planning wedding shower and baby showers with longtime customers. But I think the most gratifying thing we do is bake bread and pastries for people that have health issues. 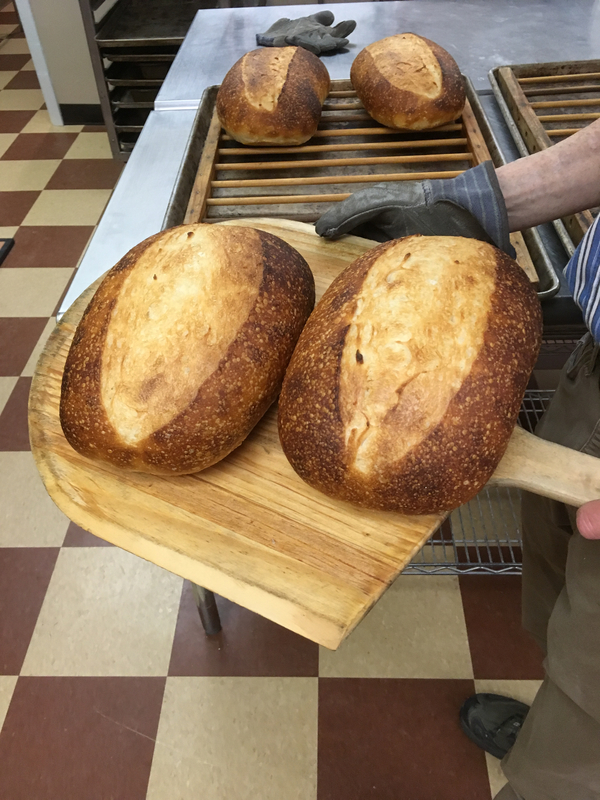 People with gluten intolerance, Diabetes, and Crohn’s disease can eat our sourdough. 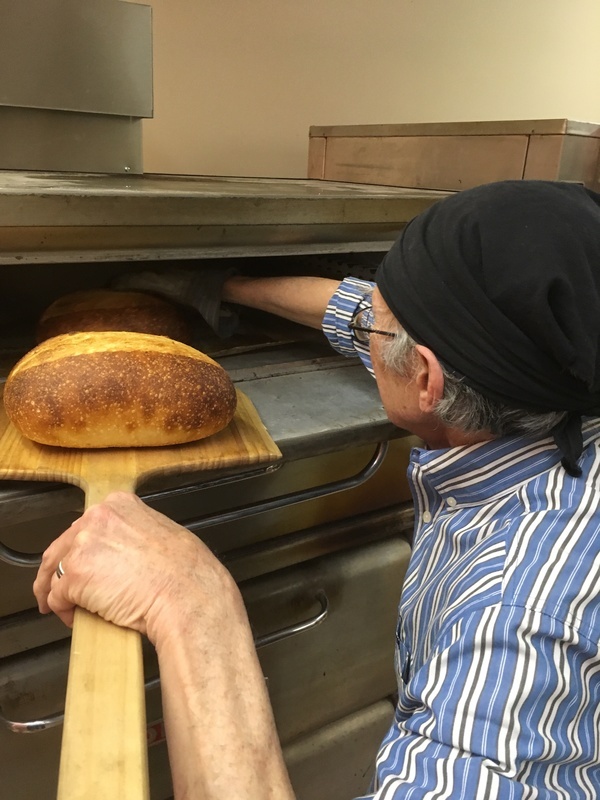 Paul makes bread without salt for customers on strict diets. Amanda makes the best Chocolate Tort that is gluten free and dairy free. We use the best ingredients we can find. Unbleached, unbromated, stoneground, aged flours. Real butter, canola oil, and olive oil. And so now we are moving into our own storefront. A storefront that we bought in 2011 and are fortunate to own outright. It’s not far from our old location. It is in an area that is a huge tourist destination. 4,500,000 people come to Pymatuning Lake every year. The lake is surrounded by wineries, microbreweries, gift shops, eateries of all kinds and lots of campgrounds. Pymatuning Lake is the 6th most popular fishing destination in the United States. We love our new location and we know you will too. It has taken us eight years of cleaning, mudding, painting, taking up old flooring and laying down new flooring to get to where we are now. And with your help, we will be opening our doors in our new location, very soon. The family has been in business for almost 14 years! So what, exactly, do we need in order to open? A lot of what we need has to do with meeting the local building requirements. 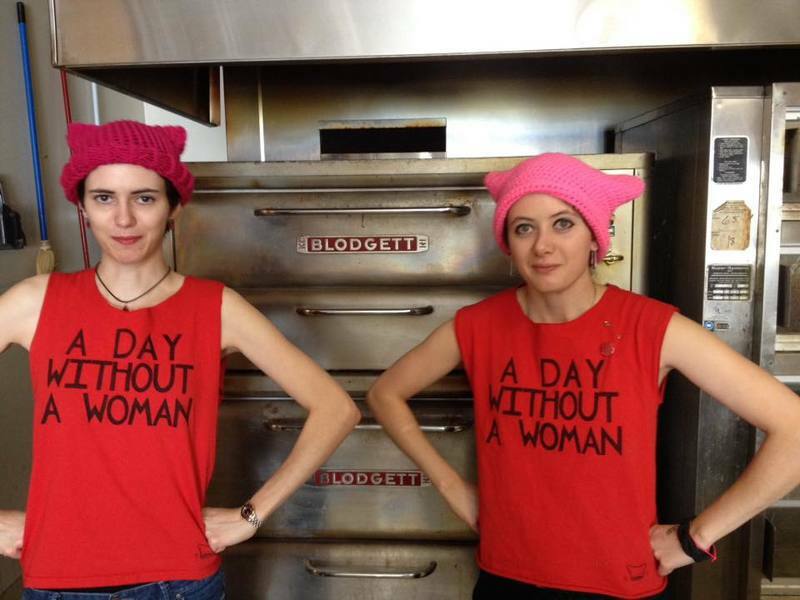 Our ovens need a hood and exhaust system. Fortunately, it’s just to remove heat so it doesn’t require a sprinkler system built into it. Our mechanical engineer is working with us and a metal fabricator to create an affordable and efficient hood that will fit our location. We need to hire an HVAC company to install an exhaust system on our roof. The building is a single story so the execution of this will be fairly straight forward. The model we are looking at is a Fantech 18” Roof Ventilator that can pull 4030 CFM which is more than enough power for our two ovens. We have Exit signs that work now but the county code needs us to have Exit signs that light up the outside steps as well as the inside. We also need to move our existing Exit signs to inside walls. The signs themselves are not that expensive. The cost is in the licensed electrician that needs to come and install these four units. The next thing we need is to upgrade our drain pipes. Our three-compartment sink, hand sink, and mop sink were plumbed with 1-½ inch PVC and the code requires it to be 2 inches, so the drain plumbing needs to be replaced and a grease trap needs to be added. We also need to upgrade the backflow preventer to a bigger model. All of this work requires the hiring of an architect, a mechanical engineer, an electrical engineer, a licensed HVAC company, a licensed plumber, and a licensed electrician. It seems like a daunting task but the Village of Andover has worked hard to help us find the best people for the job and the most reasonable rates. These are all improvements to the building that we are using as collateral for this Honeycomb loan. $20,000 Total Total cost for Tier 1 and Tier 2 combined. Paul and I started on this journey of baking bread, after a long career of working in the graphic arts field. We had a full-service advertising agency that we owned and operated in Los Angeles. In the late 80s and early 90s, the country went through a recession and this had an impact in all areas of the business sector. We had some very loyal and steady clients that we were able to do work for from a distance. We relocated to the east coast, being able to keep those clients while picking up more clients in Erie. Companies like Eriez Magnetics, Steris Corporation, and Finish Thompson. We loved illustration and design work but it was stressful. When we started baking bread and moved to Meadville to open our bakery there, the idea was to have a small bakery and still maintain the graphics business. So… we were homeschooling our daughters, working a bakery business and also doing our graphics business. Wow were we tired. Eventually, we phased out the graphics and focused on the bakery. As the business grew and our daughters grew up they took over a more prominent role in producing the product. 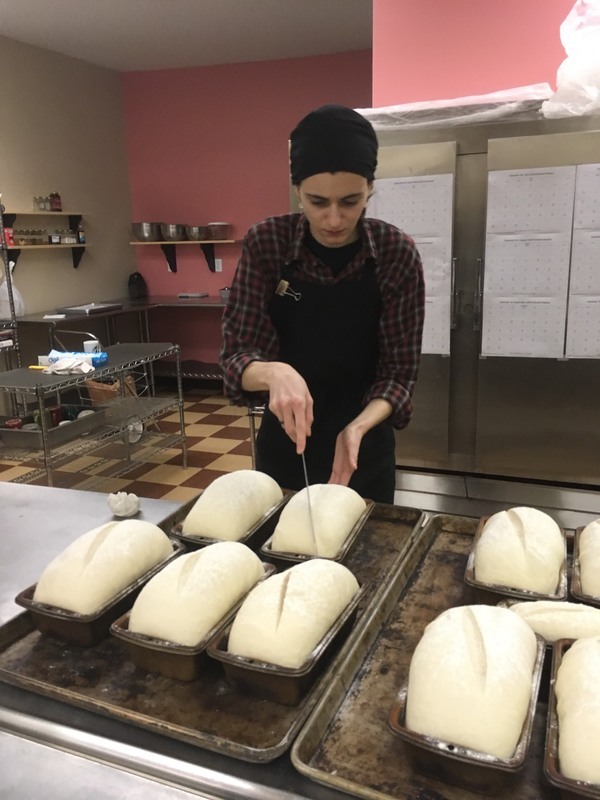 Amanda became the pastry chef, Emily developed a real knack for understanding the yeasted bread, Paul focused on the artisan bread, and I make the soups and more savory products that we sell. All of us pitch in when it comes to cleaning, running the coffee bar, ordering, stocking, and running the front counter. So when we decided to relocate it was clear that this truly is a family affair. And so Bakery On The Square, LLP was born. I’m not going to say it isn’t hard working as a family unit and as business partners but we have done everything we can to respect each others space. And more often than not, our daughters are telling us what needs to be done. The best thing we ever invested in is iPods. Each of us has a very different taste in music and we would literally have Music Wars. Folk, Punk, Hard Rock, Broadway, Oldies, Pop, Country, AHHHH! Why did we choose Andover as the site for our new location? That’s easy. We tried to spend as much time on Pymatuning Lake as we could while living in Meadville. We have a small sailboat and we each have kayaks. The more time we spent here, the more we saw the potential for growth for our bakery. Not only is Pymatuning a tourist location but Conneaut Lake is not far from here and a lot of people from Pittsburgh and surrounding areas have cottages around that lake. There are wineries all around this area and microbreweries that all have very different brews to offer their customers. There are art galleries and art and music festivals, swap meets, and race tracks. There are campgrounds all around the lake that are full all summer long. If you choose to invest, you will make a one-time investment via ACH that will be transferred to a secure escrow account. If the campaign successfully reaches its target, the funds will be distributed to Bakery on the Square. *Individual payments may vary slightly based on rounding. Potential repayments include principal and interest, they do not include the one-time fee which is assessed when you make your investment. These amounts are calculated as a fully amortizing loan: principal and interest are paid down starting with the first payment. There are no prepayment penalties and Bakery on the Square may pay down their loan early which may impact your earnings potential. Please note, returns are not guaranteed and investors could lose some or all of their investment. When Bakery on the Square pays as agreed, you will receive quarterly payments directly into your bank account. In the event of a default, you will be contacted by the Administrative Agent to manage the collections process on investors' behalf. A blanket lien will be filed on the Company's assets for the benefit of investors, see the Form C for details. Honeycomb charges Bakery on the Square a $250 posting fee and a 7.0% - 8.0% loan origination fee on the total amount funded. This offering will only be funded if at least $10,000 is invested by June 13, 2019 12:00 AM EDT.